The author of today’s article describes it as “the one surefire way to retire rich”: harnessing the power of compounding. Or, to be more specific, harnessing the power of compounding using dividend stocks – and amassing a multi-million dollar nest egg in the process. What does the author outline as some of the best strategies in this regard? 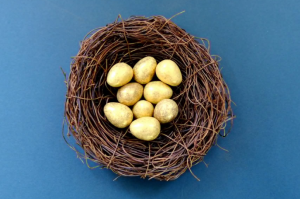 For more on harnessing the power of compounding using dividend stocks to grow your wealth – and nest egg – over time, CLICK HERE. IRA FAQ: What Investments To Choose?